Create an inviting, warm, and durable space with the granite, marble, and quartz countertop fabricators at OldStone Countertops. At OldStone you can choose from over hundreds of natural stone and quartz materials to create a space that continually impresses your friends and welcomes your family. 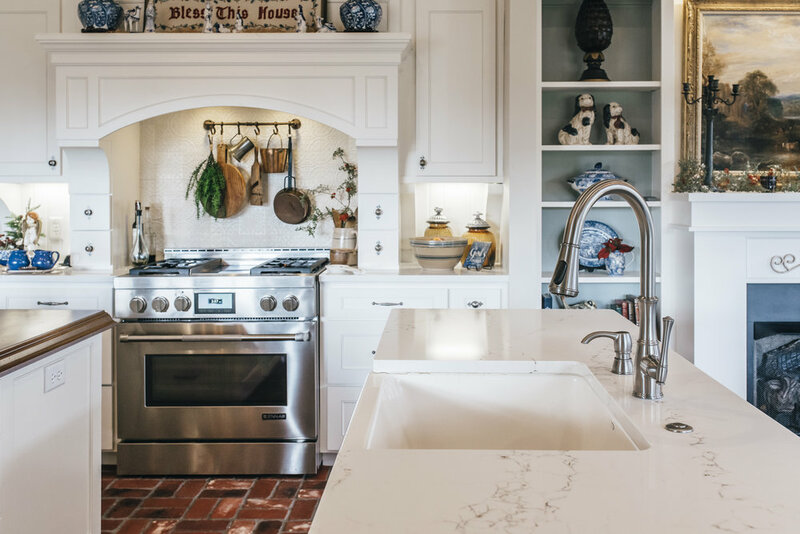 You’ll have an extensive natural stone and quartz materials inventory to choose from, with design expertise by your side as we work with you to bring your countertop vision to life. We don’t just help create welcoming spaces, we are a welcoming space. We create an exclusive, personal experience for each of our clients - from the moment you step through our door we’ll greet you with warmth and provide you with every assistance as you make your selections and create your countertop. Because your countertop selection requires expert attention, we work by appointment so that we can help you design the space of your dreams. Your home is as important to us as it is to you. We truly want you to love where you live. 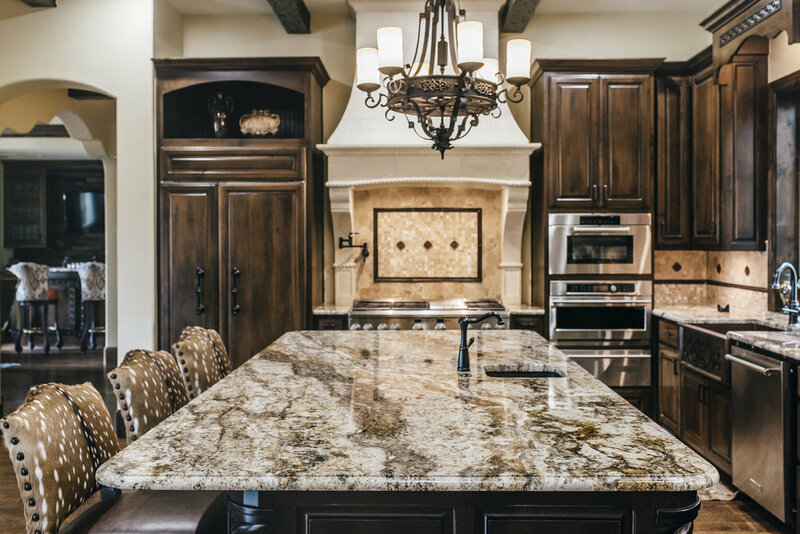 We welcome you to schedule an appointment so you can view our superior natural stone and quartz inventory, collaborate with our stone and design experts and experience our exclusive service for yourself. As a complete granite, marble, and quartz fabrication shop we offer our clients an endless array of natural stone and quartz materials for their countertop projects. Our design experts will help you choose from hundreds of variations including material, color, brand, and edge. This means that you’ll leave our shop confident knowing you found the perfect stone countertops for your space. We can handle any sort of project you bring our way, from kitchens and bathrooms to speciality projects like outdoor living spaces and bars. The kitchen is the heart of the home and we want to help you create a kitchen space that captures your heart and welcomes your loved ones into its warmth. View our Kitchen project portfolio and see how our superior products and expertise creates attractive and inviting kitchen spaces. Bathrooms can be more than functional - they can be fresh and inviting retreats for you, your family, and your guests. Our stone countertops can help you turn your bathroom into a refreshing, peaceful oasis - view our bathroom projects portfolio and see for yourself. Natural stone and quartz countertops can upgrade the look and feel of any space. Bring a touch of class and durability to any outdoor space, like a poolside bar or patio grilling area. Check out our specialty projects portfolio to see how many different spaces OldStone Countertop improves. OldStone Countertops would not be what it is today without the example and influence of Zach Ross. Zach was the leader of our tight-knit team. He carried his love for life and competitive spirit into this business, winning clients’ friendship with his fun-loving nature and earning their loyalty with his exceptional client care and service. Zach was creative, kind, fair, and conscientious and because of his example we continue to uphold the same values in all we do here at OldStone. and he will be forever in our hearts. If you would like to be informed of special offers, please fill out the form below. We promised not to send you frequent emails or to share your information with anyone else.